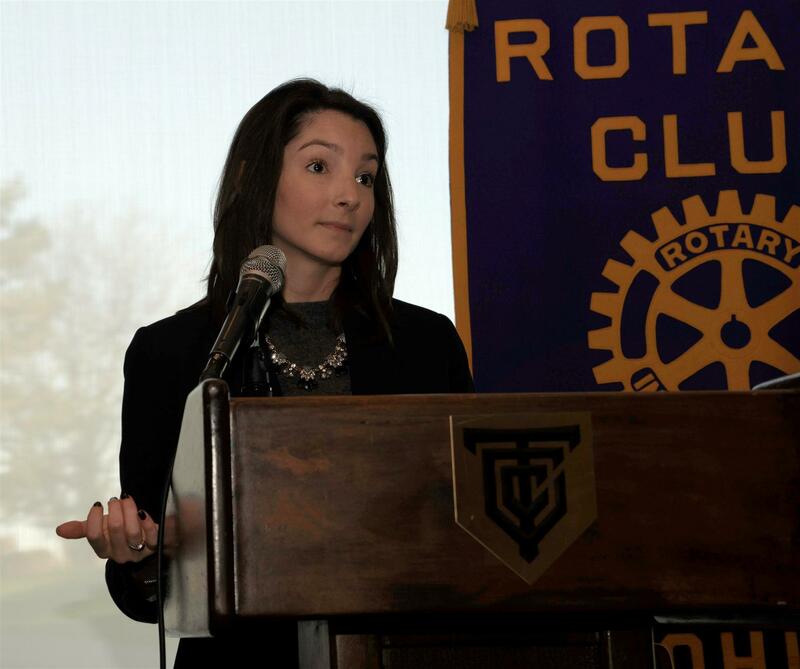 Sarah Nerad, Program Manager for the Ohio State University Collegiate Recovery Community in Columbus, Ohio and the Director of Recovery for the Higher Education Center for Alcohol and Drug Misuse Prevention in Recovery, speaking to Dublin A.M. Rotary on Friday, November 10. Sarah is in recovery herself, after struggling with addiction since the age of 15. She discussed her substance abuse disorder and how community aided her recovery. “I felt very limited and trapped…But I’m really grateful that my high school community in Houston, Texas had a really strong youth recovery community and continuum of care. I never stopped receiving services, and that’s what made it so successful for me,” says Sarah. 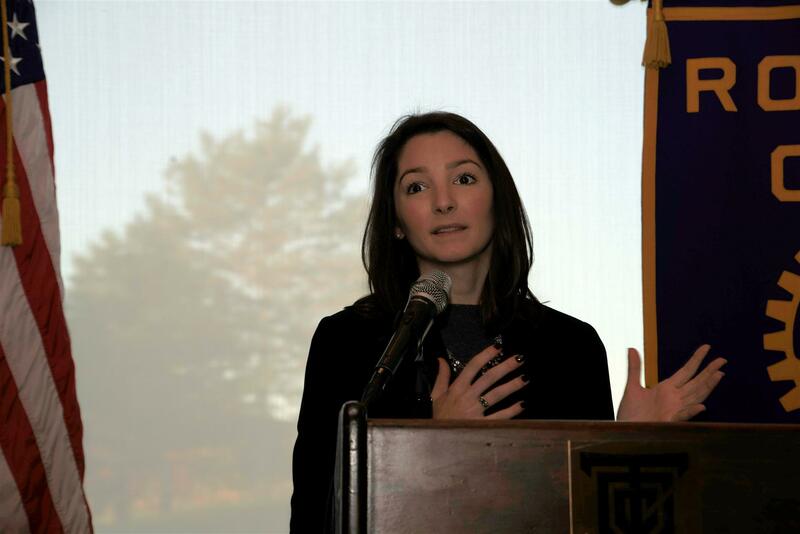 Sarah Nerad, Program Manager for the Ohio State University Collegiate Recovery Community in Columbus, Ohio and the Director of Recovery for the Higher Education Center for Alcohol and Drug Misuse Prevention in Recovery. Sarah described the recovery community she has built in Columbus at the OSU campus for students struggling with substance abuse disorder. As she traveled across the country and met other young people, she realized that her experience in Houston was quite unique. To make it available to every young person and family, Sarah has created communities for those interested in recovery or those in recovery who need supportive peer groups. She shared how her own unique experience with substance abuse disorder bolstered this effort. “Even after 5 years of recovery, I still needed and wanted support while in Graduate School. I felt like I didn’t fit in,” says Sarah. 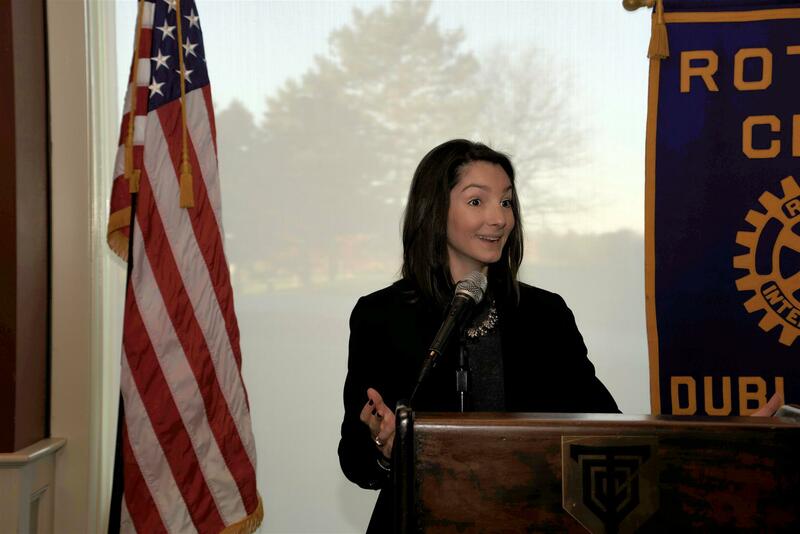 As for the uniqueness of the program, Sarah shared a bit about what makes each aspect of the program successful. She specifically discusses the Recovery House on the OSU campus, a 28-bed official university residence hall. “It’s just like every other residence hall. They pay the same amount for living that other students pay. It’s essentially a normal college dorm,” says Sarah. If a student is to relapse while in the Recovery House, Sarah says the student will typically come forth. To support the student, Sarah’s team will intervene and work with the student to foster a healthy recovery. However, if the student no longer wants to be in recovery and refuses to stop using, they’ll be asked to leave. Sarah believes this style of living is a great way for those struggling with substance abuse disorder to get peer support.